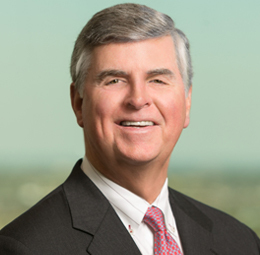 Bob Hearn’s practice focuses on representing health care providers and other highly regulated enterprises in litigation and with regard to regulatory, compliance and other business and operational matters. In the litigation arena, Mr. Hearn’s work centers around defending medical, professional engineering and other technical and scientific services companies against personal injury and wrongful death claims, as well as in various commercial disputes implicating their operations. His litigation work regularly spans the states in which Phelps maintains offices. Mr. Hearn has a long history of performing wide-ranging legal work in the clinical laboratory industry. For the last 15 years, he has represented a national laboratory in an array of litigation matters, including claims arising from cytology and histology interpretations, prenatal genetic testing, result reporting discrepancies, blood coagulation studies, FDA-regulated tissue transplant testing, microbiology cultures, and phlebotomy and specimen collection injuries. He focuses extensively on defending misdiagnosis of cancer cases, particularly those arising from Pap smear screening and the diagnosis of dermatological and breast pathology. Mr. Hearn’s litigation work in the laboratory industry has fostered a strong skill set in cultivating and challenging specialized expert opinion testimony and a heightened ability to present technical issues to lay audiences. Another significant portion of Mr. Hearn’s practice entails counseling health care clients with regard to regulatory, compliance, licensure and risk mitigation matters, primarily in the context of managing ongoing operations. Mr. Hearn regularly works on behalf of clients with the Florida Agency for Health Care Administration (AHCA) on facility licensure and Medicaid enrollment and provider issues and enjoys a strong working relationship with the Agency and its legal staff. He also represents clients with respect to industry-specific federal licensure and certification requirements, such as those imposed by the Clinical Laboratory Improvement Amendments (CLIA), and with regard to state physician licensure issues, with an emphasis on evolving telemedicine and related interstate practice rules and policies. Mr. Hearn’s litigation and regulatory practices merge in his representation of clients in administrative proceedings arising from the award of state Medicaid contracts to medical service providers and in disputes relating to Medicaid overpayment audits and related claims. Prior to joining the firm, Mr. Hearn was a partner in a prominent D.C.-based white collar criminal defense firm where, in addition to his civil and regulatory practice, he represented corporate and individual clients in federal criminal prosecutions arising from the alleged violation of environmental laws (RCRA, and the Clean Water and Endangered Species Acts), and in health care fraud and abuse, securities fraud, public corruption and telemarketing fraud cases. Mr. Hearn serves as the deputy practice coordinator of Phelps Dunbar's Tampa litigation group. Overall, Mr. Hearn’s work in civil litigation, regulatory and licensure matters, and in criminal cases gives him a unique perspective on assessing legal risk combined with a pragmatic, problem-solving approach to legal work that frequently leads to the efficient resolution of complex matters.